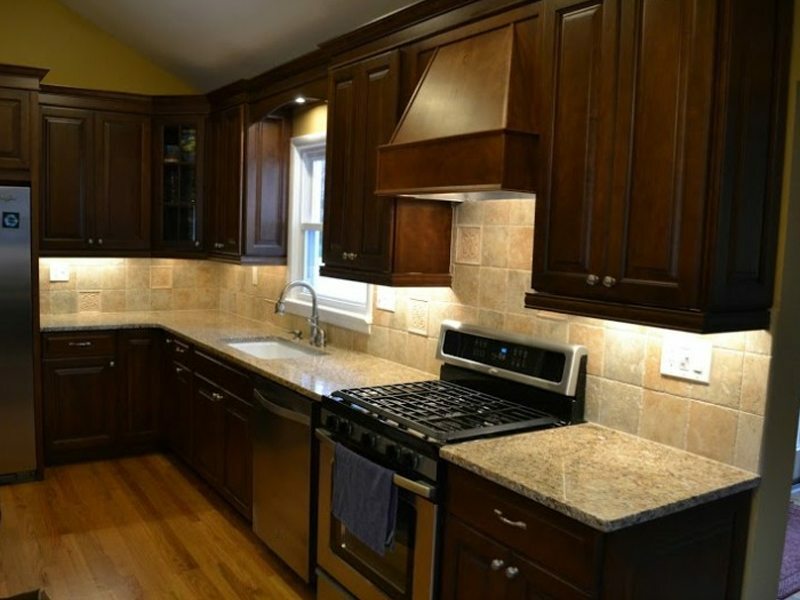 The owners of this Madison, NJ home called our team at Monk’s for a new tile backsplash. 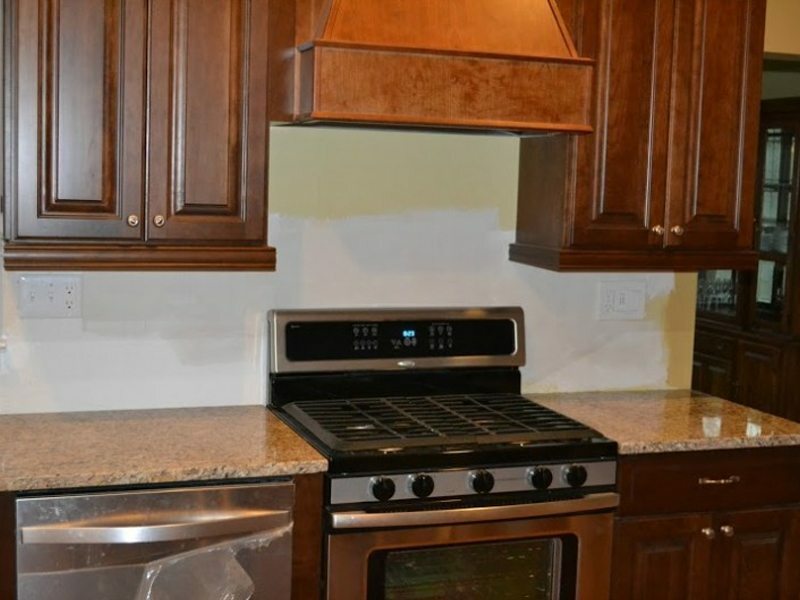 Though the homeowner’s had had the kitchen remodeled previously by another contracting company, they never added the final touch of a tile backsplash. 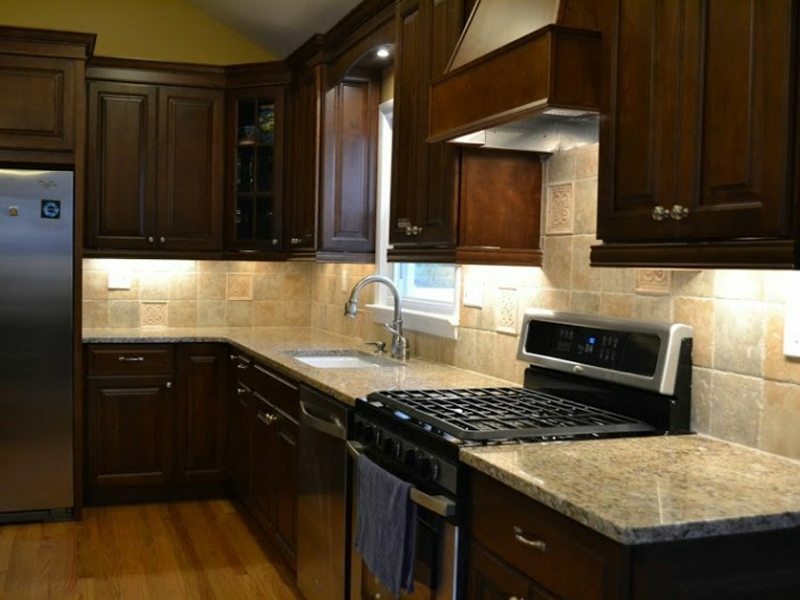 These particular homeowner’s wanted their kitchen to have a more finished look, and knew that our team at Monk’s could provide them with a great tile backsplash that would do just that. In only a day and a half the kitchen was transformed. 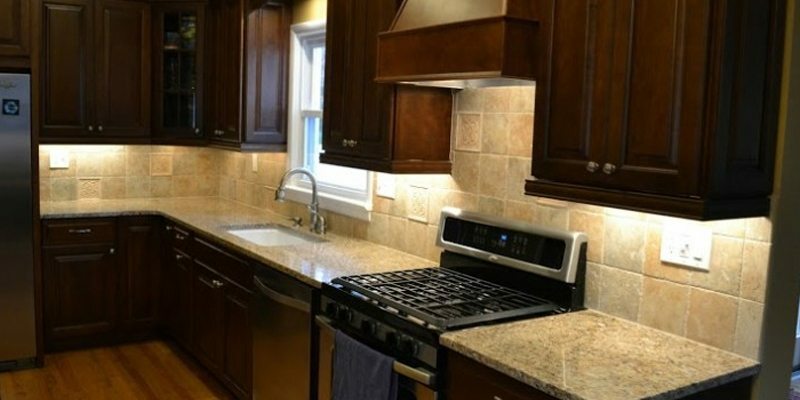 The homeowner chose a mix of grey and brown tiles to compose their tile backsplash. There were also several tiles with a medallion shape imprinted on them. Due to these three different types of tiles it was crucial that our team at Monk’s carefully laid out and planned the pattern for the tile backsplash. 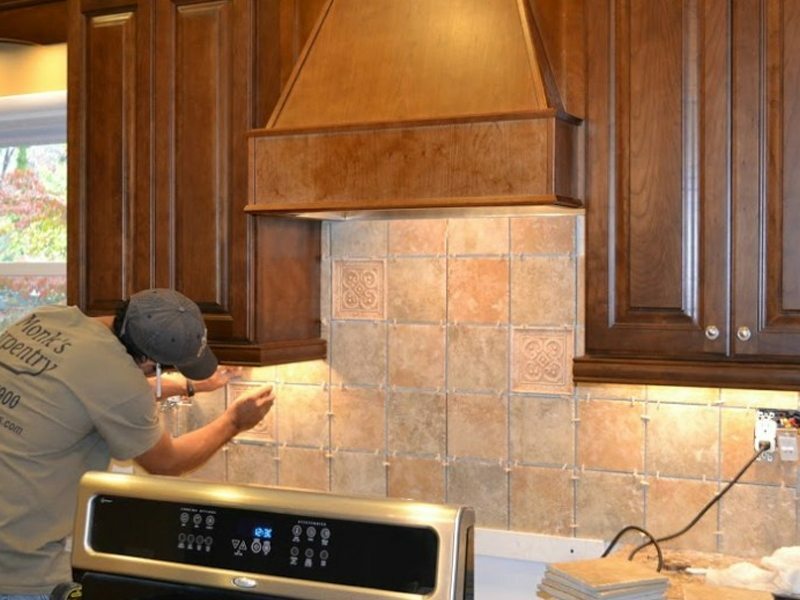 Here we see a Monk’s team member taking measurements for the installation of the tile backsplash. This close up photo shows the variety of the tiles; a major factor in the layout of the tile backsplash. This close up photo shows the three different styles of tile that were used in this backsplash. The variety of the tiles greatly dictated the lay out and pattern. The correct layout of a tile pattern is an important component of achieving balance in a room. 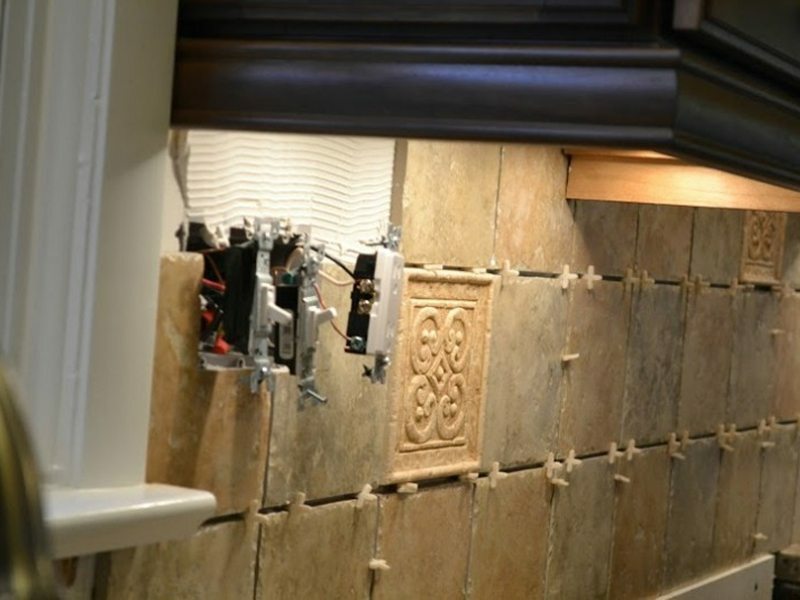 The lay out of a tile backsplash should look natural and complement the lighting and colors of the room. Here we see a Monk’s team member carefully arranging the kitchen tiles. 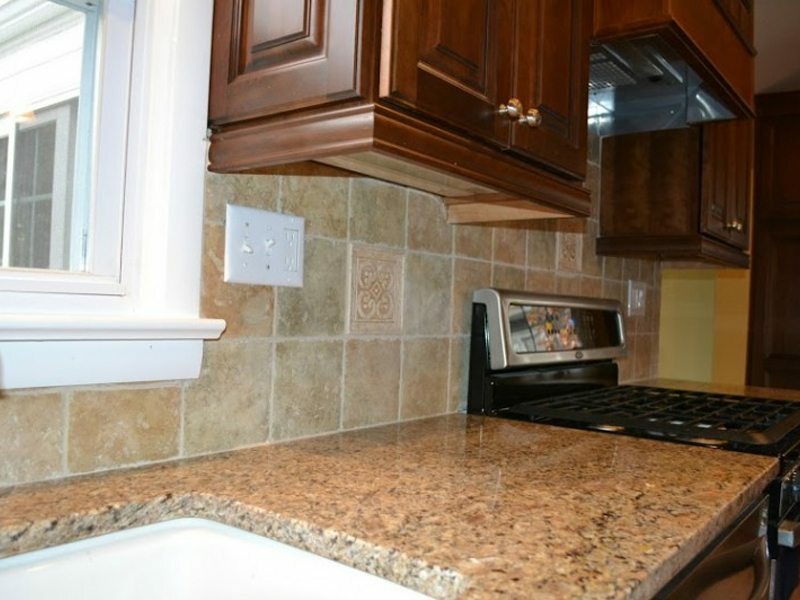 Even though the kitchen had recently been renovated, the new tile backsplash really was the finishing touch it needed! 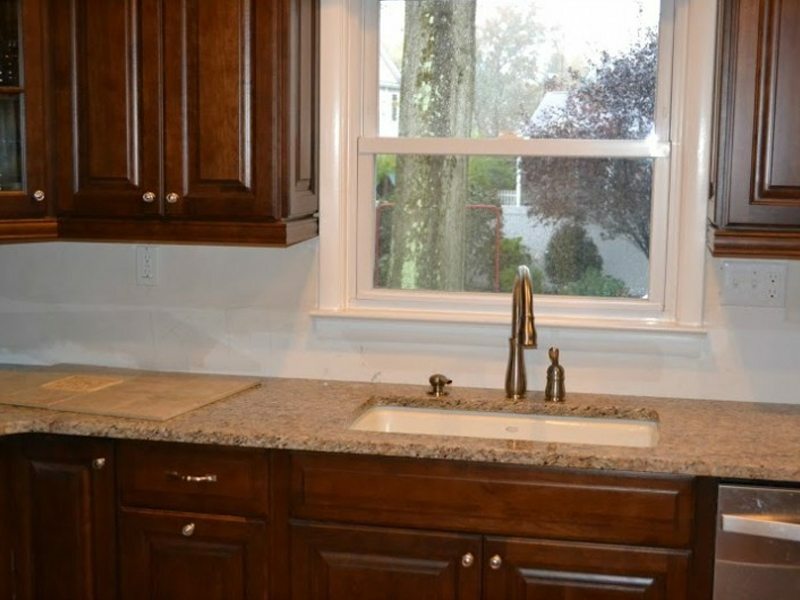 After viewing the photos of the completed job it is not hard to see why these Madison, NJ homeowner’s were thrilled with the job done by Monk’s! 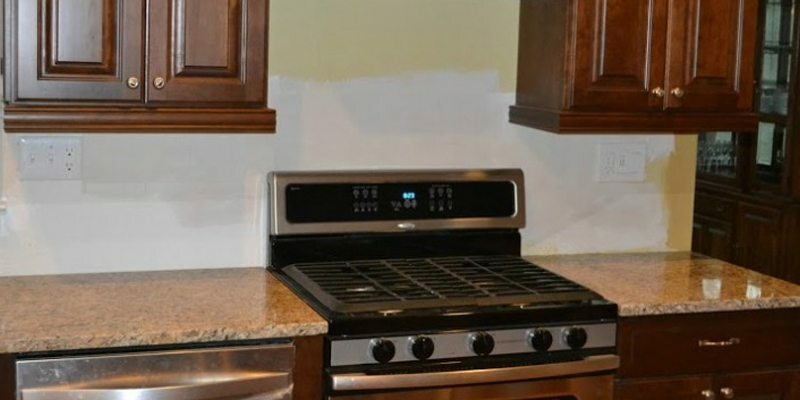 This tile backsplash took only a day and a half to complete, yet it lends a sleek, finished look to the kitchen. Other Types of Work: Porch restoration, Epoxy garage floor refinish. If you are considering a tile backsplash we would like the opportunity to tell you why we think we are the best tile contractors in Madison, NJ 07940.